We are delighted that we have been nominated again in this year’s Futurebook awards. 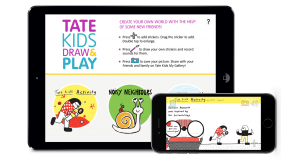 We have been shortlisted for the Best Children’s Digital Book for the Tate Kids Draw and Play we created with Tate Publishing. 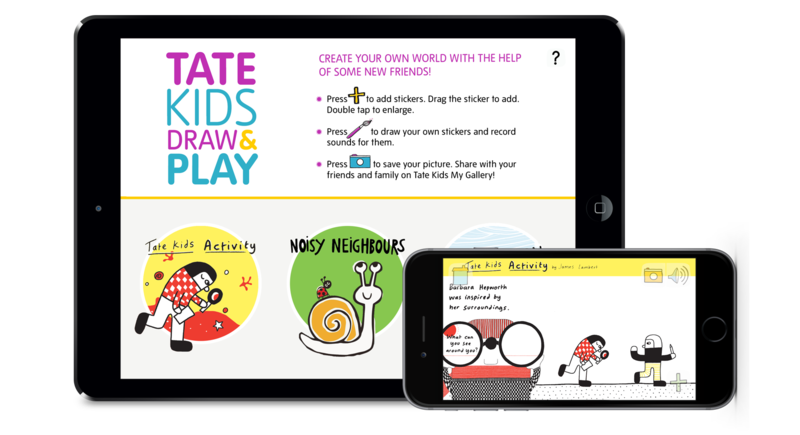 Tate Kids Draw and Play is a free app promoting the Tate Kids programme and Tate’s Read & Play apps. At the heart of the app is our drawing canvas idea developed in the first Read and Play app Noisy Neighbours based on Ruth Green’s excellent book of the same name. In Noisy Neighbours we developed a concept with Zelda Rhiando at Tate to create an interactive storybook that invites the reader to introduce their own sounds and characters into the narrative. This involved distilling a 32 page book into a series of seven customisable canvases. For the Draw & Play app, we simply took the app’s ability to add noisy stickers to a canvas and created a series of templates each with a blank canvas. One included Sid the Snail from the Noisy Neighbours book and app, the other was a Barbara Hepworth-themed canvas with stickers created from illustrations by James Lambert in the Tate Kids British Art activity book. We originally created the app to promote Noisy Neighbours but were amazed by the reception. It was download over 50.000 times within the first 10 weeks and increased the sales of the Noisy Neighbours app by several hundred percent. 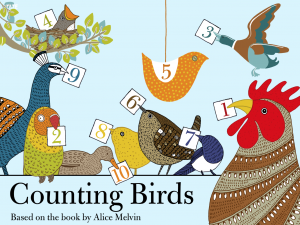 We now have an effective promotional tool at our disposal, which we will be updating in time for next year’s new Read and Play app based on Alice Melvin’s delightful and lovely Counting Birds . We are looking forward to creating the new canvas for the app based on Alice’s special artwork early next year. It is lovely to be recognised again for one of our apps, after winning last year for the Bloomsbury Let’s Do Mental Maths apps and very pleased that we get to work with Tate and their amazing illustrators and publishers! We have our fingers crossed….